US Defense Secretary James Mattis arrival in Djibouti Sunday, April 23 coincided with Egyptian President Abdul-Fatteh El-Sisi’s landing in Riyadh. Both capitals are pivotal for the Arab face-off with Iran over control of the strategic Red Sea, which is of overriding concen to both visitors. For El-Sisi, the Red Sea is an essential component of Egypt’s national security. He recently sent Saudi King Salman an offer of 40,000 Egyptian troops to man the kingdom’s southern border against Iranian-backed Yemeni Houthi insurgent attacks. The monarch spurned the Egyptian offer. He has no wish to allow the Egyptian military forces a foothold on Saudi soil, but would rather see them fighting in Yemen alongside Saudi and United Arab Emirate troops (including a large number of Sudanese and Colombian mercenaries) who are now engaged in a drive to capture the port of Hudaydah on the eastern Red Sea coast of Yemen. However, since 2015, El-Sisi has taken good care not to let the Egyptian army become mired in the Yemen conflict. All he was prepared to contribute was a naval presence alongside the Saudi and Emirate fleets for maintaining Arab control of the narrow Bab El-Mandeb Strait, which commands access to the Red Sea and the Gulf of Aden, and is one of the world's busiest oil, merchant and naval shipping routes from the Persian Gulf to the Suez Canal and the Mediterranean. Neither Riyadh nor Abu Dhabi, which donate many billions to the Egyptian economy, will be satisfied with a partial Egyptian commitment to the contest for control of the Red Sea or the Yemen conflict. They regard both contests as fateful struggles for containing expanding Iranian influence over the Yemeni insurgent movement and strategic shipping routes. debkafile’s military and intelligence sources reveal that in the past two years, Riyadh and Abu Dhabi have undertaken an accelerated process of construction and the leasing of five bases – some with added air force facilities – along 3,000km of shoreline on the Red Sea, the Gulf of Aden and the southern approaches of the Indian Ocean to consolidate their military control. Those bases along this strip of coast, some in mid-construction, run from Port Sudan, to Assab in Eritrea, Djibouti and Berbera in coastal northwestern Somalia, which serves as the region’s main commercial harbor, and is positioned strategically on the oil route, and up to Bosaso seaport in northeastern Somalia. 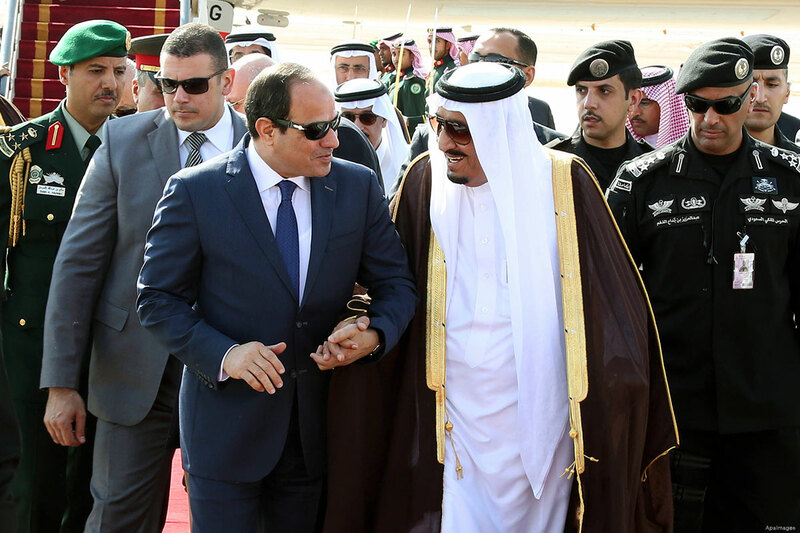 The Egyptian president strongly disapproves of the Saudi-UAE presence at Port Sudan, Egypt’s southern neighbor’s primary military port, which he sees as military interference in his country’s back yard. Secretary Mattis’ visit to Djibouti was not focused directly on the Arab-Iranian faceoff on the Red Sea, but was definitely concerned with the Yemen war and attempts to curb the deepening Iranian influence in Yemen. Our sources also report that in his talks last week with Saudi King Salman and Defense Minister Prince Muhammad Bin Salman, the possible consignment of US ground troops to Yemen was discussed.